ISLAMABAD: Accountability Court on Thursday rejected NAB’'s request to record Nawaz Sharif''s statement under section 342 of NAB Ordinance in Al-Azizia Steel Mills corruption reference. Judge Arshad Malik while hearing corruption references against former prime minister had summoned joint investigation team (JIT) head Wajid Zia on Friday in flagship investment case. 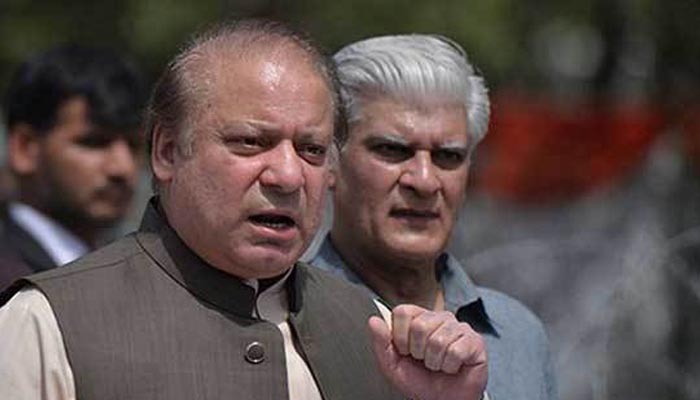 As the hearing began, the defense counsel Khawaja Haris submitted a request in the court seeking one-day exemption from hearing for his client Nawaz Sharif which was accepted. During hearing, NAB prosecutor requested the court to record Nawaz Sharif''s statement under section 342 of NAB Ordinance in Al-Azizia Steel Mills reference prior to summon Wajid Zia in Flagship Investment case. However, Khawaja Haris opposed the request and contended that it was their stance from the day first that they wanted judgment in two references together. It was decided earlier that first the statement of JIT head would be recorded in Flagship investment reference, he argued. The NAB prosecutor adopted the stance that the court could fix a date to record the statement of accused in two cases. Islamabad High Court (IHC), he said, had ordered that the three were separate references and couldn’t be heard together. Haris said there were common evidence in remaining two references, if the court wanted to announce the judgment together then what was objection over recording JIT head's statement. After hearing arguments from both sides the court rejected the request of NAB and summoned Zia on Friday to testify in Flagship investment. The court also ordered NAB to complete its evidences in Al-Azizia Steel Mills case till Friday.